Looking for Advice on Your next Electronic Design Project? A clear well defined brief can literally save you thousands and ensure reliable designs are delivered on time and within budget – Unfortunately, getting this right is the hardest part of the process! Tap into years of combined electronic design and manufacturing experience and give yourself the best chance of success. Our expertise can prove invaluable when it comes to the first stages of the development process, whether you have limited electronics experience, or your time is at a premium, we can save you thousands giving you the peace of mind that your project is in safe hands. Whether you are looking for a product re-design, proof of concept, or prototype development, our analytical approach will make sure that nothing gets missed. Reducing the likely hood of costly mistakes that may occur at a later stage of the process ensuring that every project is a success. GSPK Design has a highly skilled team of electronic design and test engineers, with years of combined experience gained from developing products for many different markets, which means that you get the benefit of this expertise and the best solution for your project from the right technology choices through to delivery of the production units. Which means you save money in the long run, getting the right technology to market quicker. The UK has a history and reputation for innovation and creativity in product development, which is still very strong today, and critical to the future economy. 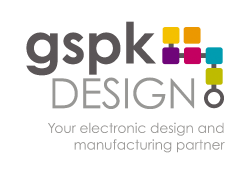 Whether you need product design support, overall proof of concept and prototype development, or a on-going manufacturing partner, GSPK Design can help you Discover – Define – Develop and Deliver.